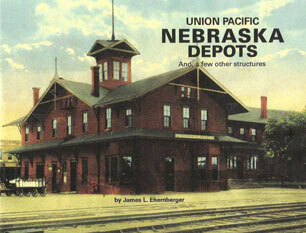 This fact-filled reference book by noted UP historian Jim Ehernberger covers more than 400 place name stations along the Union Pacific Railroad in Nebraska. Included are 232 black and white photographs of depots, roundhouses, coal chutes and various other structures. Ehernberger's research will prove very useful to anyone seeking information regarding what kind of service facilities were located at both main and branch line stations, dating back to the UP's earliest years of serving Nebraska.